Japanese art is one of the world’s greatest treasures, but it is also surprisingly hard to find up-to-date information on the internet. This ultimate guide will introduce the most inspiring aspects of Japanese art: from the oldest surviving silkscreen painting, through magnificent 18th century woodblock prints, to Japan’s most famous modern artist Yayoi Kusama. Art is created by people. That's why, in telling these stories, we pay close attention to their social and political implications. Through these 6 chapters you will learn, for instance, why nature has always been central to the Japanese way of life, and how the Edo era produced some of the most exquisite paintings of beautiful women. The Japanese contemporary art scene is buzzing with innovation and creativity. We are pleased to share with you some of the most ingenious contemporary artists, craftswomen and men, who are often not as well-known internationally as they should be. 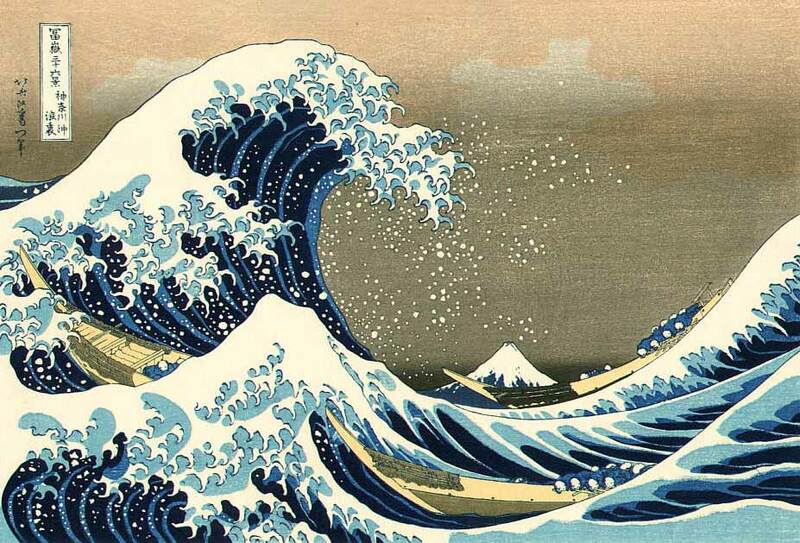 The Great Wave off Kanagawa by Katsushika Hokusai (1760-1849) is undoubtedly one of the most famous Japanese artworks. It is no coincidence that this much-loved woodblock print has as its theme the formidable power of nature, and that it contains the majestic Mount Fuji. 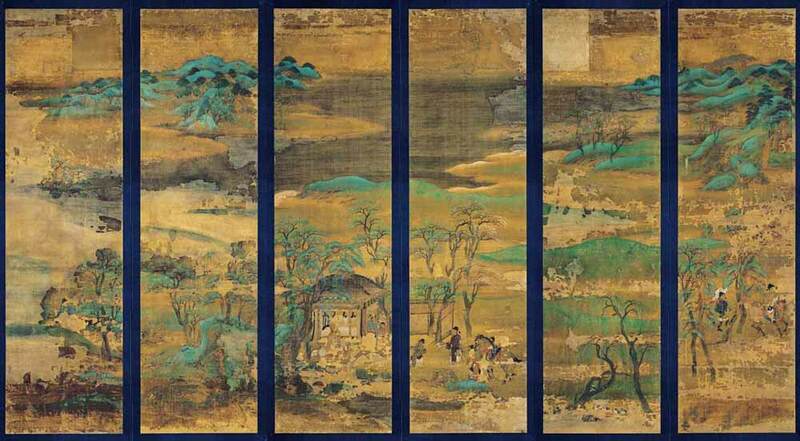 Nature, and specifically mountains, have been a favorite subject of Japanese art since its earliest days. Before Buddhism was introduced from China in the 6th century, the religion known today as Shinto was the exclusive faith of the Japanese people. At its core, Shinto is the reverence for the kami, or deities, who are believed to reside in natural features, such as trees, rivers, rocks, and mountains. To learn more about the Shinto religion, check out What are Shinto Shrines! In Japan, therefore, nature is not a secular subject. An image of a natural scene is not just a landscape, but rather a portrait of the sacred world, and the kami who live within it. The centrality of nature throughout Japanese art history endures today, see for example these 5 Most Authentic Japanese Garden Designs. This veneration for the natural world would take on many layers of new meaning with the introduction of Chinese styles of art – along with many other aspects of Chinese culture – throughout much of the first millennium. This meticulous Heian-era (794-1185) painting is the oldest surviving Japanese silk screen, an art form itself developed from Chinese predecessors (and enduring until today, see here for the Artistic Features of the Japanese House). The style is recognizably Chinese, but the landscape itself is Japanese. After all the artist would probably never have been to China himself. The creation of an independent Japanese art style, known as yamato-e (literally Japanese pictures), began in this way: the gradual replacement of Chinese natural motifs with more common homegrown varieties. Japanese long-tail birds were often substituted for the ubiquitous Chinese phoenix, for example, while local trees and flowers took the place of unfamiliar foreign species. One animal that is often seen in Japanese art is the kitsune, or fox. Here are some other Things You Should Know about the Inari Fox in Japanese Folklore! As direct links with China dissipated during the Heian period, yamato-e became an increasingly deliberate statement of the supremacy of Japanese art and culture. Zen, another Chinese import, was developing into a rigorous philosophical system, which began to make its mark on all forms of traditional Japanese art. Zen monks took particularly to ink painting, sumi-e, reflecting the simplicity and importance of empty space central to both art and religion. 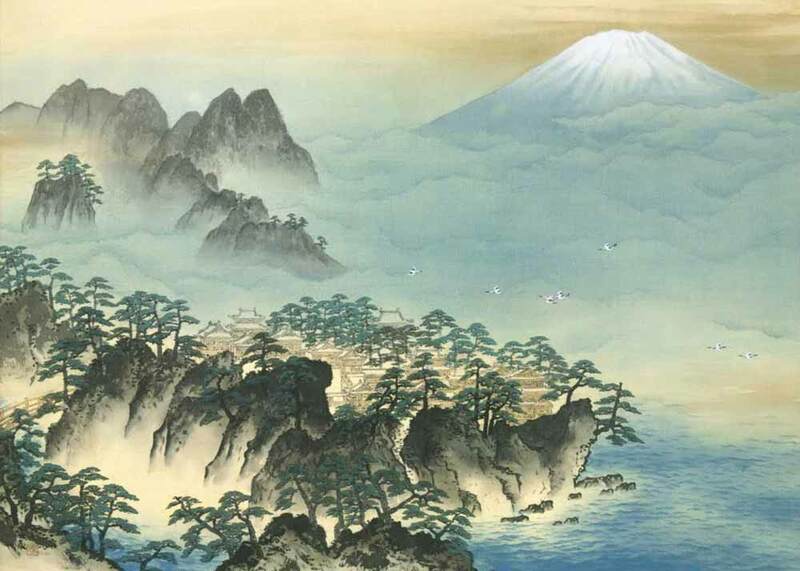 One of the greatest masters of the form, Sesshu Toyo (1420-1506), demonstrates the innovation of Japanese ink painting in View of Ama no Hashidate, by painting a bird’s eye view of Japan’s spectacular coastal landscape. Perhaps nothing is as spectacular as the great Mount Fuji however. The perfect conical shape of the slumbering volcano, and the very real threat of its deadly fury, combine in an awe-inspiring entity that has been worshipped, and painted for centuries. You can see some examples over at Views of Mount Fuji: Woodblock Prints Demystified. The evolution of the tea ceremony had a profound influence on the history of Japanese art and craft. Well-to-do families had long taken the opportunity of social occasions to show off their most sumptuous Chinese tea implements, but this began to change in the 16th century, when aesthetes began to gravitate towards a simpler style. The popularity of humbly decorated, unpolished, and most significantly Japanese tea implements began as a trend. It was transformed into a permanent fixture of the Japanese design landscape through the endorsement of political power, in particular military leader Toyotomi Hideyoshi (1537-1598) and his tea master Sen Rikyu (1522-1591). 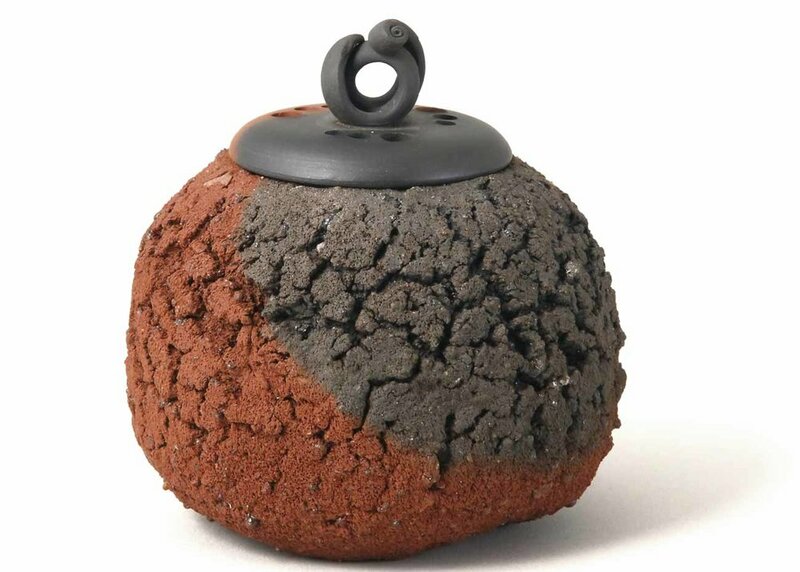 The style of craft which Rikyu favored has come to be known as wabi-sabi. The zen-derived concept, while difficult to translate exactly, refers to a philosophy of imperfection and impermanence. 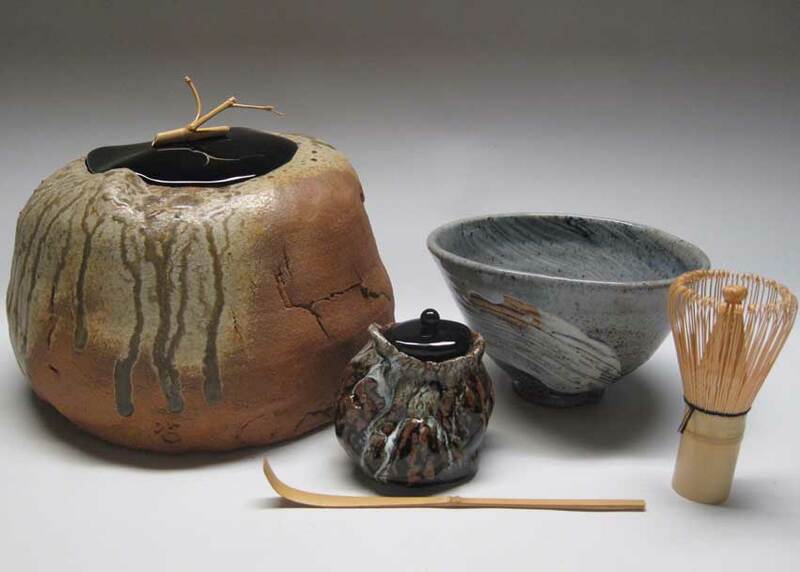 Wabi-sabi can be seen in the preference for understated earth tones over glittering painted colors for example, and for the irregular shapes of hand-molded ceramics over the perfection of wheel-thrown pots. The popularity of the tea ceremony proved a bracing economic stimulus to Japanese craft, and through the centuries of Edo peace following Rikyu’s time, the wabi-sabi aesthetic spread to the textile, metalware, woodwork and ceramic industries, among others, all eager to supply the finest in Japanese design to their tea practising clients. To find out more about how the tea ceremony influenced Japanese art history, take a look at Master Crafts of the Japanese Tea Ceremony. Many of these craft skills are put to good use in a more everyday way in Japan’s famous bento boxes, and you can find out Everything You Need to Know About Bento Boxes here! The Edo era (1615-1868) enjoyed a long period of extraordinary stability. Edo society was booming and cities expanded on an unprecedented scale. Social classes were strictly enforced. At the top there was the samurai who served the Tokugawa government, then the farmers and the artisans, finally at the bottom of the rank were the merchants. However, it was often the merchants who benefited the most economically due to their role as distributors and service providers. Together with the artisans, they were known as the chonin (townspeople). With new prosperity, goods of all kinds flourished. In particular woodblock prints, ukiyo-e, reached their apex in popularity and sophistication. Ukiyo-e literally means pictures of the floating world. In its Edo context, these stunning woodblock prints highlighted the cultivated urban lifestyle, fashionability and the beauty of ephemeral. It was also during this time that printing techniques became highly advanced. The production of woodblock prints was handled by what was then called a ukiyo-e quartet. It included the publisher, who managed the enterprise, the blockcutter, the printer and the artist. By the 1740s, ukiyo-e art prints were already being made in multiple vivid colors. Another important characteristic of these prints is the materials that they use, specifically washi paper, which you can find out more about at All You Need to Know About Washi Paper. One of the most important purposes of ukiyo-e prints was to reflect the stylish lifestyles of the Edo urbanites. Merchants were confined by law to their social status and as a result, those with the means spent their time in pursuit of pleasure and luxury, such as could be found at the Yoshiwara pleasure district. Yoshiwara was more than just a brothel; it was a cultural hub for the rich and connected men of the Edo era. The courtesans of Yoshiwara were stunningly portrayed in ukiyo-e prints. Their lavish kimono, hairstyles and make-up were painstakingly brought to life. They were the stars of the Edo, and through these relatively cheap and widely distributed prints their every move was followed religiously by the townspeople in their normal lives. 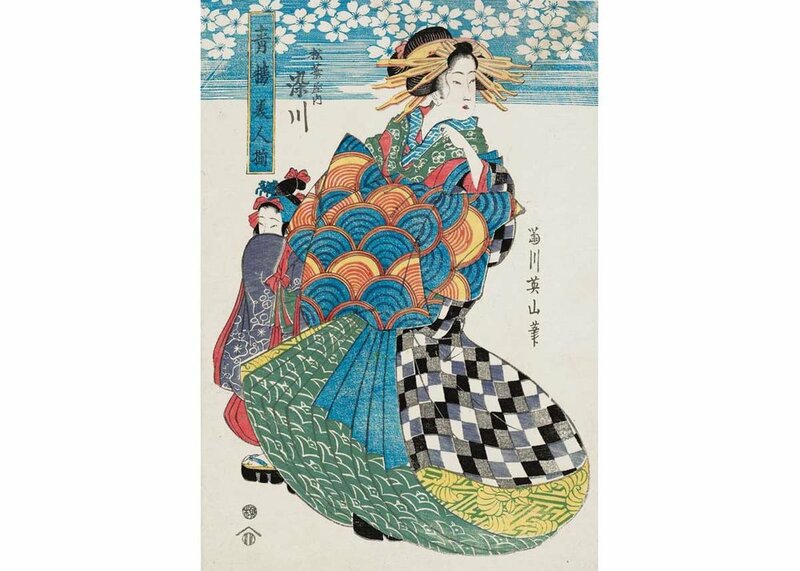 These mesmerizing courtesan prints were called bijinga, meaning paintings of beautiful women. The most renowned ukiyo-e artist of this kind is perhaps Kitagawa Utamaro. You can read all about his outstanding art prints in Kitagawa Utamaro: Discover Japanese Beauty Through his Masterpieces. Kabuki theater was another popular subject of ukiyo-e in the form of yakusha-e (actor prints). Images of top-billing actors were frequently reproduced, and the prints often captured theatrical scenes with astonishing artistry and detail. For more examples of yakusha-e from print artist Tsukioka Yoshitoshi , you can read The Stories Behind the 100 Aspects of the Moon. One of the more famous ukiyo-e artists of the time Toyohara Chikanobu, has for some reason become somewhat obscure outside of Japan today. He remains, however, one of the most collected woodblock artists domestically. 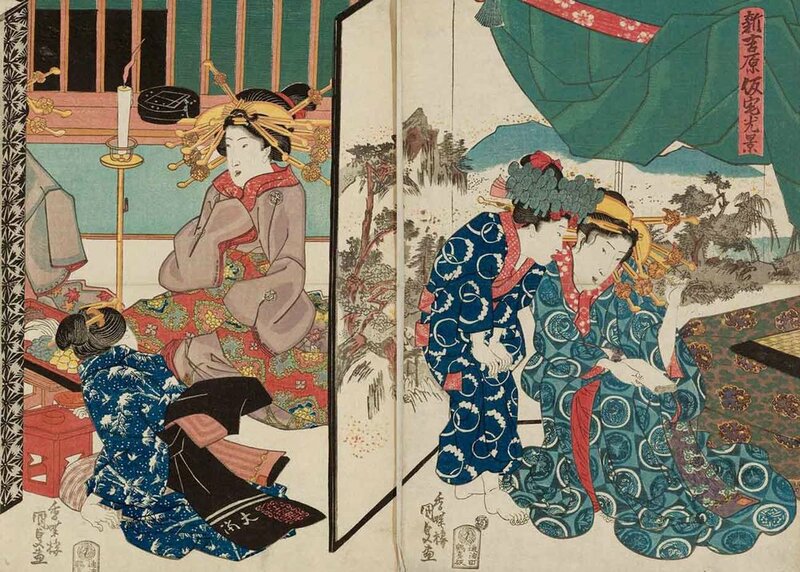 To enjoy his sensational bijinga prints, take a look at Who Was Chikanobu? The Meiji Restoration in 1868 marked a turning point in Japanese history. Gone with the feudal past and military rulers, Japan at this time was firmly marching towards modernization and westernization under the leadership of Emperor Meiji. The Meiji and Taisho era (1868-1926) was distinctively different from what had come before in all aspects. The nation was in a constant state of flux, pulling between the West and the new Japan. In the arts, there were significant technological and stylistic developments, thanks to Japan’s newly enthusiastic engagement with the world in the form of international exhibitions and expositions. It was in the textile industry where production methods first began to modernize. In the 1860s, Kyoto’s Nishjin – the premier center of the kimono industry - sent delegates to Europe to bring back the jacquard loom that transformed weaving processes. 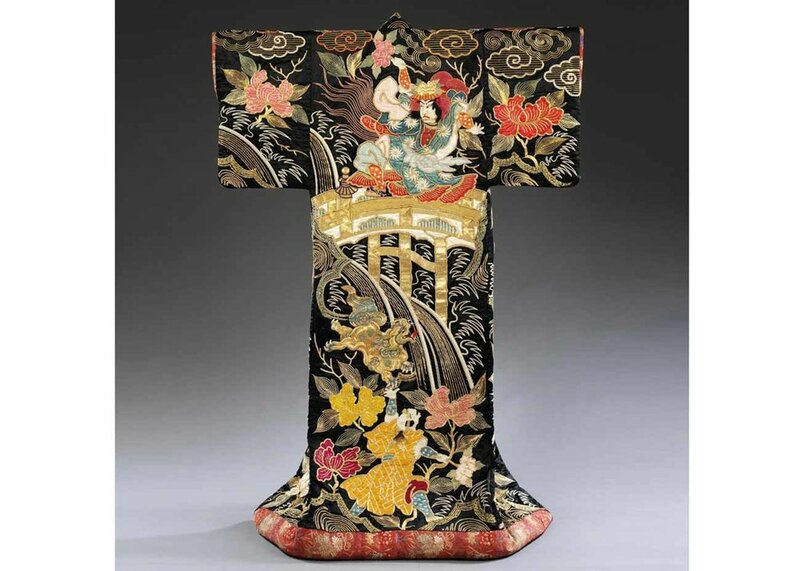 Explore the sumptuous artistry in The Art of Kimono: Designs, Patterns and Inspiration. In the field of metalwork, artisans were forced to find other suitable endeavours quickly. The abolition of the samurai class and the prohibition of sword-carrying meant that their industry collapsed entirely overnight. 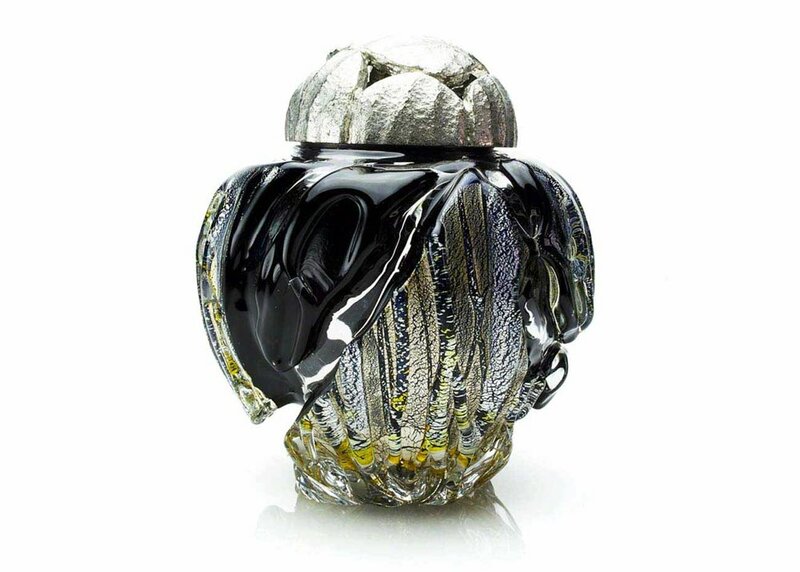 But many did find other outlets for their talents, and with exceptional success, as can be seen from the superb craftsmanship of this dragon-themed jar. The silk wrapper on this jar is intricately carved, and particularly fine work considering it is not actually silk, but metal. For more extraordinary crafstmanship, see 8 of The Most Exquisite Traditional Japanese Dolls! Meiji painters eagerly sought novel ways to reflect the spirit of the new Japan. Students, scholars and artists often traveled to Europe or America to bring back western styles known in Japan as yōga (western paintings). But for others, the Japanese way could only be captured by building on centuries of national heritage. These elegant Japanese art style is known as nihonga (Japanese painting), which are perhaps not widely known internationally, but were created by some of the best Japanese artists to date. You can get a taste of this remarkable Japanese style of painting from our Concise Guide to Nihonga, or read Japan Objects' exclusive interview with Rieko Morita, who is one of the best-known and respected Nihonga artists working today. Perhaps the major social influence of the Meiji and Taisho periods of the history of Japanese art was state-led nationalism. This patriotic sentiment greatly influenced the arts of the time too. Tsuchiya Koitsu’s Mount Fuji woodblock print is an interesting example of this. 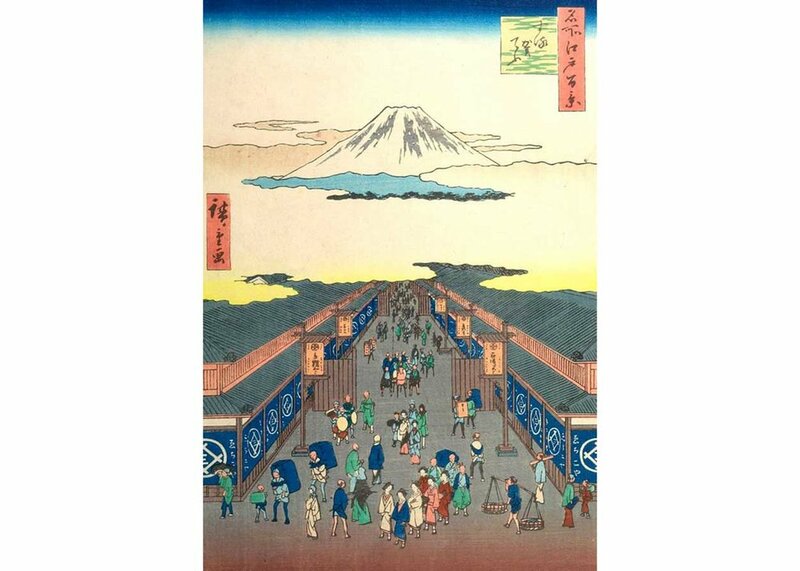 Take a look at The Meaning of Koitsu’s Prints of Mt Fuji to read more. The Meiji era’s unrelenting modernization was keenly felt by many artists and artisans. The desire for a more ethical and inclusive way of working took hold through the establishment of Mingei, or the Japanese Folk Craft Movement. The aim was to revive struggling vernacular craft industries through formal design study, similar to the British Arts and Crafts Movement of the late 19th century. This charming print is an example of the unique Japanese rural style of Mingei. It spells out the kanji character 酒, meaning sake or alcohol, using the ceramic jars and small cups in which sake is usually served. Print master Okamura Kichiemon was fascinated by the everyday objects of Japanese life, such as the tableware illustrated here, and was the author of many books about Mingei. Japan’s frenetic modernization after World War II brought increased prosperity to many, but in the art world, fears began to rise that Japanese traditional craft skills were being drowned under the incoming wave of western cultural mores. In response the government enacted a series of laws to encourage and support the arts including the designation of important cultural properties, and the informal title of Living National Treasures for master artisans, who could carry traditional skills into the future. Matsui Kosei (1927-2003) was one such national treasure. 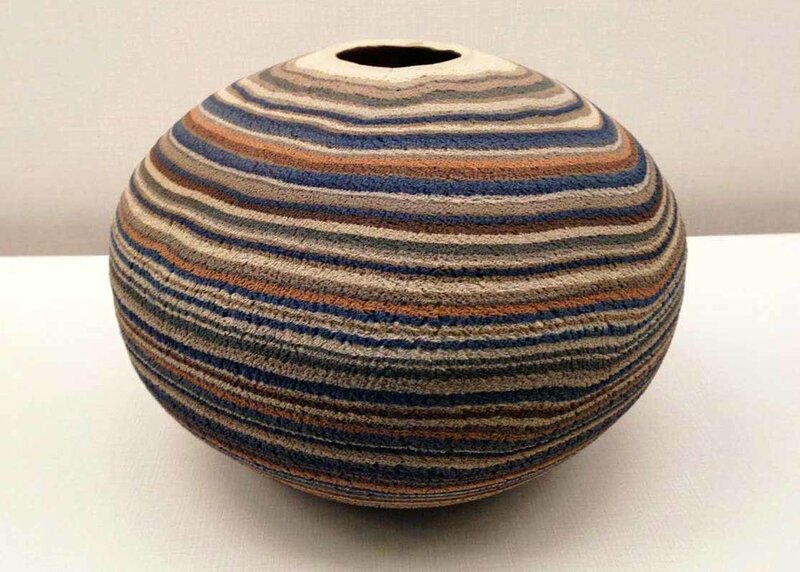 By looking back at previously extinct craft skills, Kosei was able to develop the neriage technique to fashion such intricate and colorful creations as this incredible striated vase. For more ceramic masters check out These Phenomenal Japanese Ceramics, or explore Japan's 11 Best Female Ceramic Artists. Forgotten techniques were the inspiration for artist Kubota Itchiku as well. 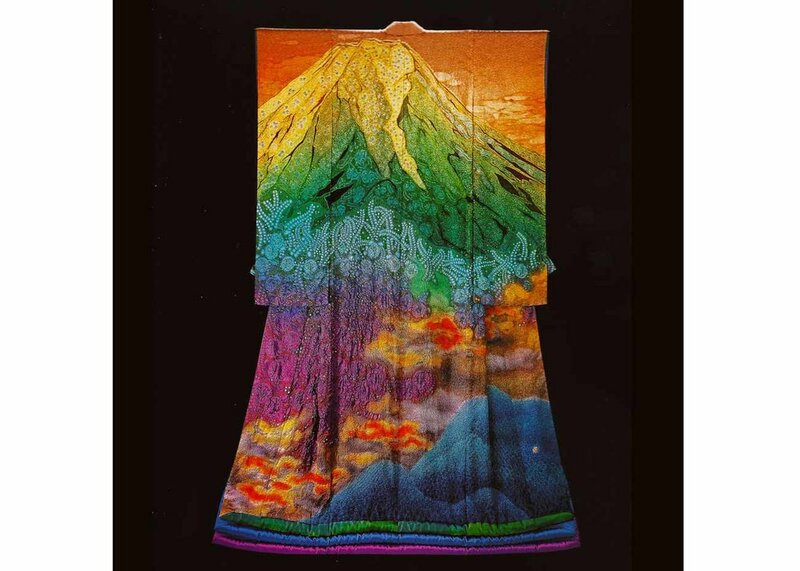 Through his careful experimentation with a 700 year old shibori dyeing style, tsujigahana, he turned a usually understated item into the canvas for his passionate and emotional art, such as this piece, Mount Fuji and Burning Clouds. For a more detailed introduction to the kimono, visit Kimono: A Lavish Visual Guide, or read about Japanese women's daily experiences with kimono in Life Lessons from the Kimono Closet. Glass, by contrast, was not commonly used in Japan before the Meiji restoration. However, with the spread of western-style housing, and windows, artists were quick to discover the potential of such a versatile material. Yukito Nishinaka is one such craftsman working today. 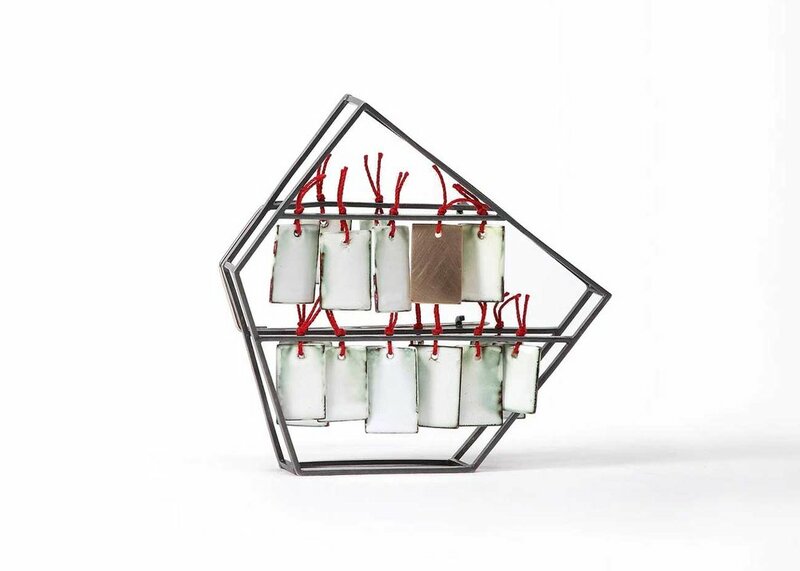 Inspired by the Japanese craft objects of the past, Nishinaka aims to reinterpret such objects as teaware and garden ornaments, all through the medium of glass. You can see more art from Nishinaka and his peers, at Glass Artists to Shatter Your Preconceptions. Art Jewelry is another area that, although not native to Japan in its modern form, is able to draw on the country’s rich cultural heritage to produce unique works of art. Mariko Sumioka, for example, finds inspiration in the architectural language of Japan. She sees the aesthetic value not only in the homes and temples that can be found here, but also in the individual components of the structures: bamboo, lacquer, ceramics, tiles and other traditional craft and building materials. Get to know some of the other craftspeople bringing Japanese art history to life at How Japanese Jewelry Design Draws Inspiration from Traditional Art. Japanese contemporary art in the 21st century reflects its creators’ conscious efforts towards innovation and experimentation. Pioneering artists today move swiftly between artistic mediums to express their uncompromising visions. From manga and fashion, to digital sculpture and photography, the accepted disciplinary boundaries are being broken down to make new ways for artistic and social autonomy. Artistic autonomy rings especially true for the emergence of new Japanese women artists. There are an unprecedented number of professional women working in the creative fields, and established artists such as Yayoi Kusama have paved the way for young female artists to thrive. You can get to know some of these talented women in Japanese Women Artists You Should Know, and 10 Famous Female Painters in Japanese Art. You can also visit Kusama’s public works in person, wherever you are in the world: 14 Best Places to See Yayoi Kusama’s Art. This silver wreath by Wales-based artist Junko Mori is an example of stunning craftsmanship, where unyielding metal is cast as tender spring petals. This one-of-kind piece entitled 'Silver Poetry; Spring Fever Ring' is an appropriate introduction to her instinctive making process: ‘No piece is individually planned but becomes fully formed within the making and thinking process. Repeating little accidents, like a mutation of cells, the final accumulation of units emerges within this process of evolution,’ says Mori. Similar to Rakuware by a tea master craftsman, Mori’s work embodies that rare quality where accidents are celebrated for their uncontrollable beauty. Takahiro Iwasaki’s Out of Disorder series is a fascinating example of cutting-edge experimentation, in which he uses discarded everyday objects to create incredibly detailed miniature cityscapes. You can read about his work in The Story of Takahiro Iwasaki's Radical Sculptures. Rule-breaking convictions are thoroughly evident in many of the works of Takashi Murakami. The sight of his sculpture Flower Matango in the Palace of Versailles is an ideal illustration of the thrilling clash between traditional art and pop culture. By presenting a new hybrid of these influences, Murakami takes his place as one of the most thought-provoking Japanese artists working today. You can check out Iconic Japanese Contemporary Artworks to discover more! If you’re in Tokyo, you can also visit the country’s first Digital Art Museum showcasing the works of art collective teamLab. Check out our exclusive interview here. Berlin-based artist Chiharu Shiota has a distinctly pertinent vision of artistic innovation. She creates large-scale installations exploring the vocabularies of anxiety and remembrance. State of Being, for example, is a stunning portrait of the powerful connections between people and their belongings. By encasing everyday things, like a child’s dress, in infinite webs of red yarn, she transforms ordinary objects into evocative personal memories. Do you have any questions about Japanese art or Japanese history? Let us know in the comments below, and we'll get you the answers!